At Joseph’s Affordable, we are known for our quality service and dependability throughout Philadelphia, Huntingdon Valley, Bucks County, PA, and Montgomery County, PA for general heating repairs, boiler repair, and furnace repair. As a family-owned and locally-operated company, all of our technicians live in the Greater Philadelphia area, including Huntingdon Valley, Bucks County, PA, and Montgomery County, PA, which equates to fast and efficient service. We are here to take care of all your heating needs including service, repairs, installations, and maintenance! Our professionally trained and experienced technicians are knowledgeable and experienced in plumbing, heating, and boiler installation and repairs. 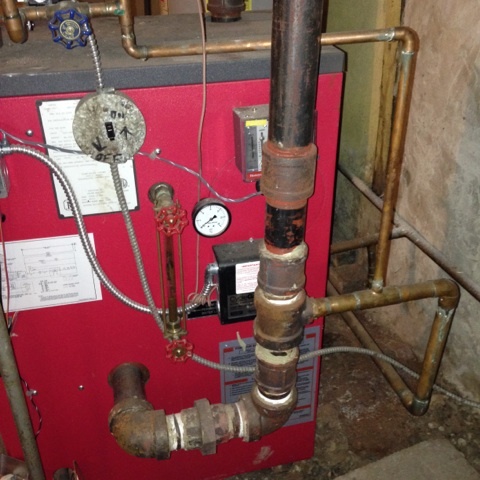 They can also service, install, and repair furnaces. We offer all of our customers in the Philadelphia area the lowest prices, and with free estimates on new installations, you have nothing to lose if you choose Joseph’s Affordable. Immediately after your heater breaks, it can ruin your morning or night in several ways. For example, if it malfunctions overnight, this might mean you'll be without enough hot water to take your shower or bath. Even worse, if it's a cold winter day and you come home to a cold house after a long day at work, that means you'll likely be shivering all night and until a technician arrives. If you ever find yourself in one of these situations or need emergency plumbing, you can call us immediately. In fact, one of the things we take pride in is the fact that we can have a technician out to your home any day of the week. What should you expect when one of our heating technicians arrives at your home? Right after one of our heating technicians arrives at your home, he or she will begin determining what is wrong with your heating system. From there, our technician will determine whether your system can be repaired, or if a new system is required. What will determine whether repairs can be done or if it needs to be replaced? One thing that our technician will take into consideration is the age of your heater or boiler. If you have a heater or boiler that is more than ten years old, they may suggest a new, more energy-efficient one. Another thing they may ask you is if your current heater or boiler is offering you the level of comfort and convenience you want. In addition, if they feel the repairs will cost just as much as having a new heater or boiler installed, they may suggest that you strongly consider purchasing new appliances. Whatever the case, if you choose our team to make any heating or boiler repair, you can expect excellent services. Here at Joseph’s Affordable, our goal has been, and always will be, to guarantee that our customers in Philadelphia, PA, can enjoy the warmth provided by a properly functioning heating system. To learn more about us, our technicians, or the areas that we serve, please browse our website, call us, or fill out a contact form. Whether you are looking for a water heater, gas water heater, or hot water tank -- we provide it! We not only guarantee the quality of our water heaters, but we're also happy to guarantee our prompt and cost effective service. Call us today for more information, or if you'd like to receive an estimate - we're happy to answer any questions that you may have!